I love houses. Lucky really, given my job. I love the glimpses they give you into the lives lived within their walls, the histories created there and the views looked out upon over the years. Architecture, objects, landscapes all come together in a property to shape and illustrate cultures, communities and personalities. With older houses in particular you’ll often stumble across pieces that speak volumes. Objects that make you want to run your hand along them, to hold that touch for a moment, pause and listen. As though it might be possible to feel history vibrate through a cool palm held on ancient hand-carved wood. Like this wooden chest that I found last week in the attic of a house in Quiros. What treasures had it stored down through the years? 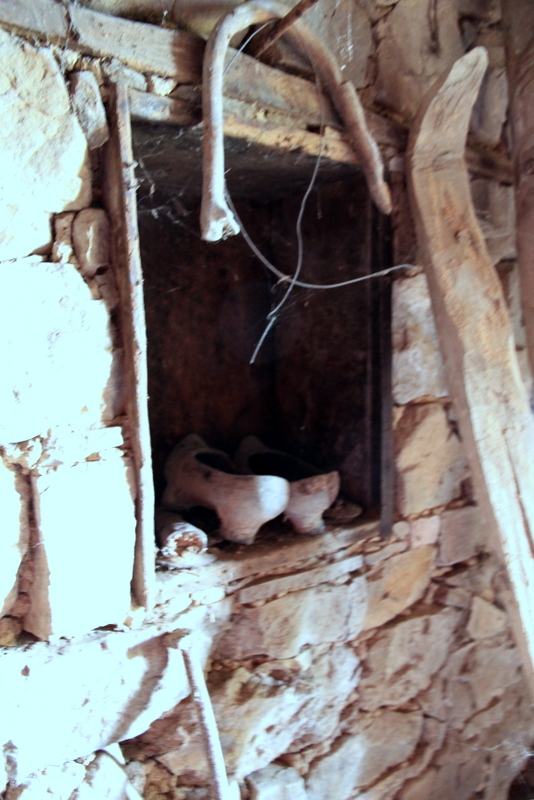 Or these madrenas, found in an alcove of the same house. What paths did they once tread? Whose feet encase? When was it that they were shelved for the last time? 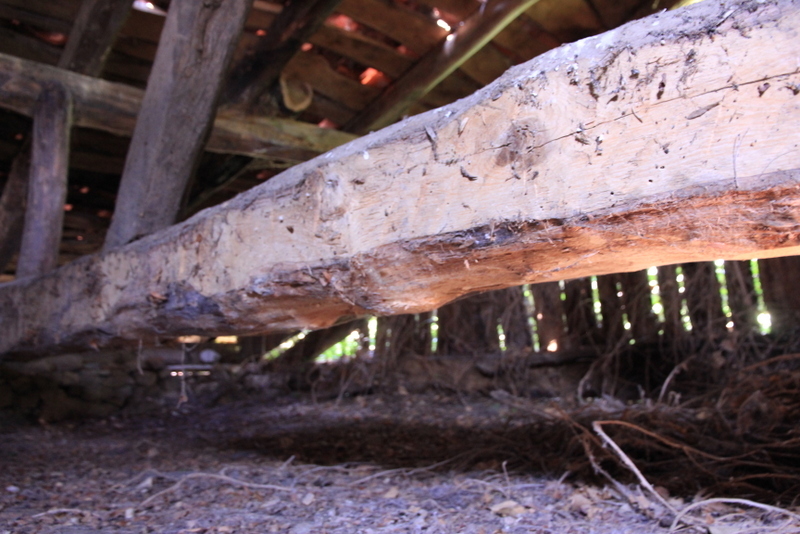 A solid oak beam stands in the roof of the long-abandoned house. 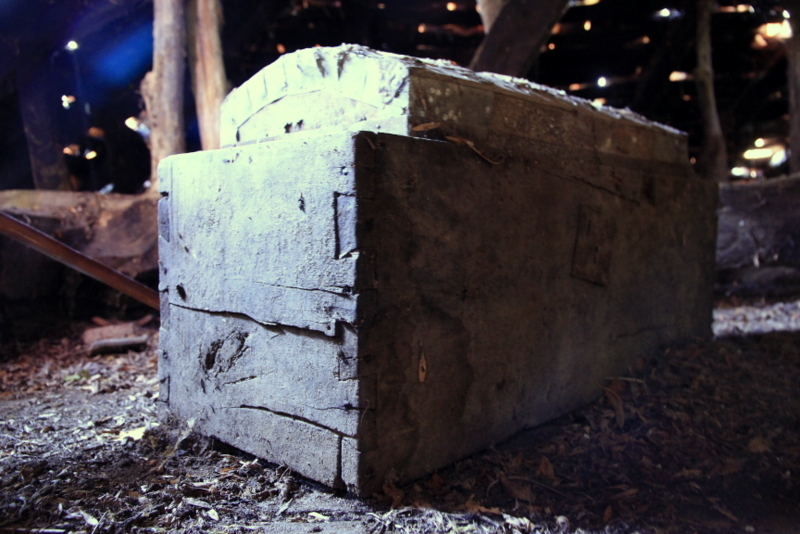 The light filtering through the wind-shifted, old-fashioned roof tiles falls upon it and highlights the rich, untreated grain, with not a single sign of decay or woodworm or any weakness upon it. A bang with your fist gives a reassuring answering thud. There is something deeply satisfying in the knowledge that some things really can withstand the test of time. If you fancy buying your own piece of history in northern Spain then take a look at this lovely traditional Asturian house set in a spectacular hill-top hamlet and ready to move into so you can start to write the next chapter…..